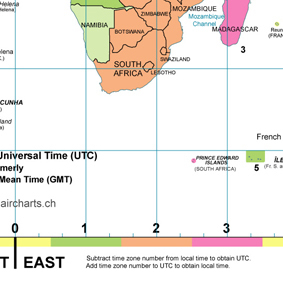 World map with all standard time zones incl. worldwide beginning and ending of daylight saving time for 2011. Description World map with coloured countries shows the different time zones in 2010. In addition the highlighted countries experience a daylight saving time change during the current year. The table shows the countries in the northern and southern hemisphere with beginning and ending of the daylight saving time. • Current time in South Africa?